I just released a new budgeting app for the iPhone and iPod touch. 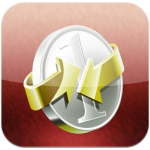 It’s called Ez Budget – Quick Envelope Budgeting and it is available on the iTunes store now. Budget each paycheck. Budget is a dirty word to most people, but you must budget down to the last dime if you’re going to successfully implement the envelope system. Fill ‘er Up. After you’ve categorized your cash expenses, fill each envelope with the money allotted for it in your budget. For example, if you allow $100 for clothing, put $100 in cash in your clothing envelope for the month. When it’s gone, it’s gone. Once you’ve spent all the money in a given envelope, you’re done spending for that category. If you go on a shopping spree and spend the $100 in your clothing envelope, you can’t spend any more on clothes until you budget for that category again. That means no visits to the ATM to withdraw more money! Don’t be tempted. While debit cards can’t get you directly into debt, if used carelessly, they can cause you to over-spend. There’s something psychological about spending cash that hurts more than swiping a piece of plastic. If spending cash whenever possible can become a habit, you’ll be less likely to over-spend or buy on impulse. Give it time. It will take a few months to perfect your envelope system. Don’t give up after a month or two if it’s not clicking. You’ll get the hang of it and see how beneficial the envelope system is as you dump debt, build wealth, and achieve financial peace! See … simple! Now, there is one problem I have with the envelope system. I don’t like using cash. I don’t like carrying it, and envelopes are a little bit of a pain. I really prefer to use my debit card. Because of this I’ve looked for other alternatives. I’ve tried inzolo, mvelopes, neobudget, and mint. All of them are ok, but none of them have done everything like I would want. Specifically, I didn’t like any of the options on my iPhone. So I decided to make Ez Budget. It allows you to create spending categories and envelopes to track your spending. When you get paid, allocate the money to your envelopes as needed. When you spend money, you categorize the transactions to the correct envelope. This way you always know exactly how much money you have left to spend in certain categories. This is especially helpful for things like groceries, eating out, and entertainment. Check it out and let me know what you think. Anybody else use the envelope system? Do you have a method for implementing it online or with software? Let me know what you like and dislike about your current solution. Nice article… retweeted it just now.. This looks like it is a great app for saving and budgeting. I will be sure to check it out once I get my iPod touch. I really like your app! I am using it in conjunction with iBank. One ultra-important feature request: the ability to have a pre-defined transaction that can populate the envelopes with $$s. This becomes a tedious task if one has several envelopes. On a related note, how do you handle the use case where you need to reset the envelopes – say on a monthly basis? By reset, I mean delete all the transactions. My thinking: at the end of every month, I upload the file to dropbox before resetting ez budget. Another “ultra” important request (really my wife’s) is the ability to attach a memo to the transaction. I’m using ez budget in my mac & just bought the iPhone app. The help section is not working in my iPhone @ I can’t work out how to use Dropbox to sync with my mac. Can you please help ? Thanks. Do not like this app. Wasted my buck! It appears the only way to add you money to the envelopes is through using your bank. That isn’t happening with all the security issues out there. Also, it states that it is usable on the iPad, but really it isn’t set up so that you can use it in landscape it has to be upright. Not happy with this app. 1. You can use the app without connecting to your bank. Simply add transactions manually as a deposit to put money in envelopes, then add transactions as withdrawals to take money out of the envelopes. Previous post: Should Baby Step 1 be More Than 1000 Dollars?